September 2010: ‘Nostalgia for the Periphery: Postcolonial Memory in Baz Luhrmann’s Australia‘, Keynote lecture, SERCIA Memory in/of English-speaking Cinema conference at Besançon University, France. March 2011: ‘Bonnie and Clyde: Moments in Time’, Plenary presentation, Film Moments book launch event at BFI Southbank. November 2011: ‘Nicole Kidman: What a Performance’, Professor Emerita lecture at University of Southampton. December 2011: ‘Nicole Kidman: Back to Nature’, Age Spots and Spotlights: Celebrity, Ageing and Performance symposium at Birkbeck, University of London. July 2012: ‘An American in Paris: Sofia Coppola and the New Auteurism’, paper on Sofia Coppola’s authorial brand for EUPOP 2012 inaugural conference, London College of Fashion. October 2012: ‘Mildred Pierce Remembered’, symposium on film, book and television versions of Mildred Pierce at Bristol University. March 2013: Paper on performance and commodity auteurism at SCMS 2013, Chicago. May 2013: Talk about Sofia Coppola at Linnaeus University, Sweden. June 2013: Paper on Nicole Kidman’s performance style at Revisiting Star Studies conference, Newcastle University. 29 September 2013: Keynote lecture: ‘Natacha Rambova: Designing Culture, Staging Exoticism and Performing Identity in the 1920s’ for Women and the Silent Screen VII: Performance and the Emotions conference at Melbourne University, Australia. 9 November 2013: talk: ‘Natacha Rambova: Designing Culture, Staging Exoticism and Performing Identity in the 1920s’ for day event Inspirations: A Celebration of Pam Cook’s Work in Film Studies at University of Southampton. 3 June 2014: talk: ‘Paratext and Subtext: Reading Mildred Pierce as Maternal Melodrama’ for Maternal Melodrama symposium at University of Kent. 8 October 2014: research seminar paper: ‘Paratext and Subtext: Reading Mildred Pierce as Maternal Melodrama’, University of Sussex. 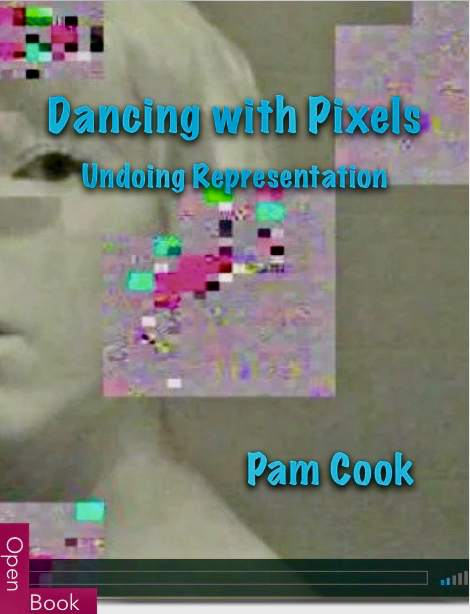 20 April 2015: talk: ‘Dancing with Pixels: Digital Artefacts, Memory and the Beauty of Loss’, University of East Anglia.